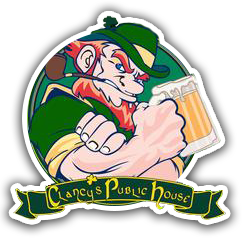 Clancy's Public House is a full bar and restaurant, featuring over 30 beers on tap and a variety of 50 different bottles of beer/cider to choose from. Come in for our delicious menu items, great specials and wonderful service! Have your private event at Clancy's Public House and we will make sure that your special day is even more memorable.